Also includes recipes from all over the country and around the world! Love Caribbean Cuisine? Mediterranean? Old Fashion Southern Chicken Recipes? Plus a collection of many sauces dressings and dips not found in any other cookbook. 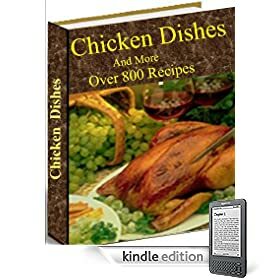 Many family chicken dish recipes handed down for generations and many new ones too. Includes some recipes from famous people and places. NUTRITIONAL INFORMATION included for many recipes. © 2019 Flaming Food | Log in | 129 queries. 0.323 seconds.